Lately all releases labeled as techno, are sounding very similar. Big kick drums, lots of reverb and a few notes of some dark synt. Starts to get boring. Fortunately there are few producers that are constantly defy to the trends. Fabrice Lig is one of them, holding to his roots, he defines his music as Techno Soul & Futuristic Funk and that definition sounds true. His music is synt based, with phrases that go back to the origins of electro funk, early Detroit and even Italo disco, perfectly breaking trough the boredom of todays techno cliché. His new release Pure Raw 3 is going just that. Gravitational Voyage (Joris Voorn Edit) is a track that opens up the release, the groove is very light, funky synt phrases in the brake, subtle rhythmic synt pattern enters the high end, and the groove is completed by it. Very tastefully done. Returnelle is lot harder one, based around a hectic synt pattern that gets altered trough the track, very good for the mix. Dark Commodore is another one filled with funk, the synt parts complement each other and the groove and the track is constantly changing and stays interesting. My favorite on this release. Last one is Module Eight the track that is again very funky, the synts are again in very good harmony with each other and very exciting, the most melodic track on the release. All of that is accompanied by some percussions that sit well in the mix. I see this one as a highlight of a very eclectic DJ set. Fabrice Lig managed to preserve the feel that his records had 10 years ago when I was introduced to his music, and even improved it a bit. Still bringing the funk when its needed! P.S. 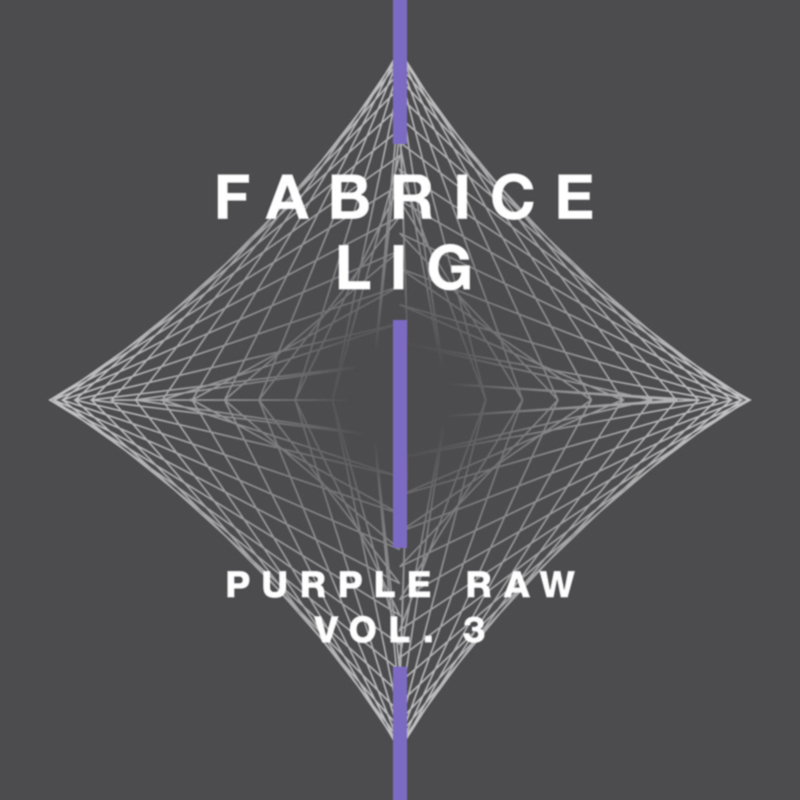 On some stores the release is titled "Purple Raw", there is also a vinyl release under that title, that has only 3 tracks.